ARCATA – Its programs and services suspended, the North Coast Resource Center (NCRC) is relinquishing its lease on the Arcata Service Center effective today, May 31. The building opened in 1999 for use by the Arcata Endeavor, the NCRC’s predecessor. The NCRC’s lease on the building was good through June 31, 2013, though it halted operations there in December. Once back in City hands, Public Works will inspect the building to ascertain any repairs that might be necessary, and make an estimate of costs. City Manager Randy Mendosa said that since the building was funded by Community Development Block Grant funds, there are restrictions on its use. He said it could be used for applications including homeless relief, day care, economic development or recreation, but not as government offices. Mendosa expects to present a range of proposals for new use of the ASC to the City Council sometime in July. 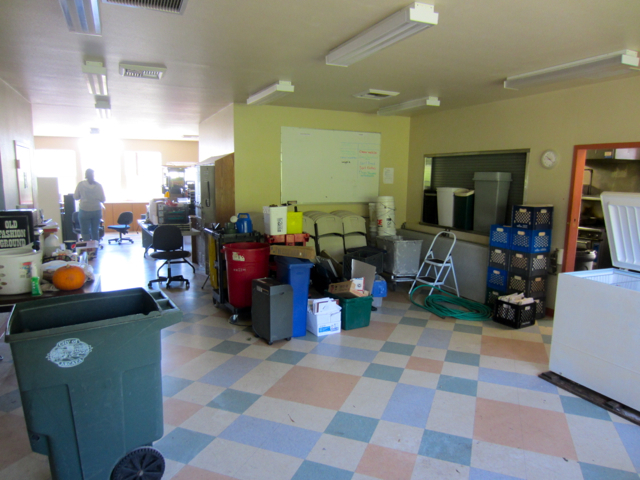 The building is stuffed with NCRC furniture and supplies, and needs help with the move-out. Interested parties may gather at the Arcata Service Center, 501 Ninth St., across from the Transit Center, at 5:30 p.m. tonight. Plan on working for about an hour. This entry was posted on Thursday, May 31st, 2012 at 3:53 pm	and is filed under News, Community. You can follow any responses to this entry through the RSS 2.0 feed.